It is now the middle of the Hamfest Season. Take some time to get out and show your support for at least one local hamfest this year. Our section staff has been to several very good ones this year, and the turnout is very encouraging. We have made the commitment to be at EVERY WPA Hamfest this year, and we are more thn half-way to reaching that goal. Please stop by our WPA ARRL tables to say hello, meet our staff, and ask any questions you may have. Vendors have been very generous in supplying hourly and main prizes to the WPA hamfests, and your help in keeping the attendance up will go a long way to making the future of WPA hamfests a good one! We try to announce all the hamfests on the Section Website Events Page, which can be found at https://wpa-arrl.org/wpa-events-calendar/ and includes maps and information. If you join or renew your ARRL Membership with us at a hamfest, you qualify for a special, hamfest-only gift. You may choose one of the following ARRL Publications to be shipped for free to your QST mailing address. Even if your membership doesn’t expire this year, your renewal will be added onto your current membership, and you get a valuable ARRL book for FREE! Antennas for Operating On the Go!Portable operating is gaining popularity in the Amateur Radio community. For amateurs who are unable to install permanent outdoor antennas at home, portable installations are often the only way they can get on the air. There are also amateurs who simply enjoy operating outdoors, in nature. For them, portable antennas are necessities. 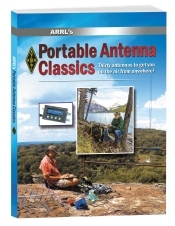 ARRL’s Portable Antenna Classics is a collection of helpful articles gathered from more than three decades of QST, ARRL’s membership journal. Featuring easily constructed antenna systems that offer adequate performance, this book offers practical ideas and projects to get you on the air from anywhere! Antenna Designs to Fit your Space!Amateur Radio operators love antennas – the bigger the better — but if you don’t have acres of property to erect the antenna of your dreams, does it mean you’re effectively off the air? Not at all! This fascinating hobby is still yours to enjoy. With the right antenna design you’ll be on the air today! 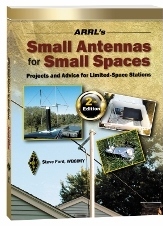 Fully updated, the second edition of ARRL’s Small Antennas for Small Spaces is a valuable resource for radio amateurs who live in apartments, condominiums, or houses on small lots. Filled with practical advice, this book guides you to finding the right antenna design to fit whatever space you have available. In Small Antennas for Small Spaces you’ll find ideas and projects that will get you on the air regardless of where you live! Even More Antennas to Build – Even More Ideas to Experiment WithThe third volume of the popular Wire Antenna Classics collection gathers the best antenna projects and innovative designs from QST, spanning over 10 years from 2002 through 2013. 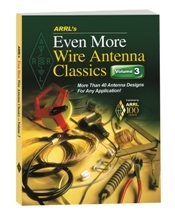 It features more than 40 practical designs for a wide range of wire antennas, from simple projects to more complex. As you read, you’ll discover new ways to experiment with wire antennas and why they are so rewarding to use. Explore Digital Radio Below 30 MHz!The popularity of HF digital communications among Amateur Radio operators is growing rapidly. A few watts of RF power are all it takes to work the world – digitally! Get on the Air with HF Digital is a step-by-step guide that’ll get you started in the fascinating world of HF digital technology. 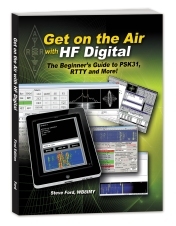 Written in an easy to understand, conversational style, this book will show you how to set up and operate your own HF digital station. The text includes instructions for configuring software programs for popular modes such as RTTY, PSK31 and JT65. You’ll also learn about other digital communication modes such as MFSK, Olivia and PACTOR. It’s a fun and easy way for beginners to get on the air! Our WPA Section Staff has put together a series of District Meetings for ARES leaders, Club officers and other interested amateurs in each of our four Districts. These meetings will last 4-5 hours and will cover updates on ARRL activities, VE test procedure updates, Club activity workshops and upcoming Section Events such as JOTA and the SET. All ECs and other Field Organization appointees, Club Officers and all interested Radio Amateurs are encouraged to attend the meeting in their District to get the latest information and assistance in filling out monthly report forms, procedure changes, and new initiatives. These meetings will contain the best programs from the former ARES Conference that used to be held in Johnstown, and the Leadership Workshop that used to be held in Indiana. The reason we are doing four events instead of one is to cut down on the travel for interested people. Each of these meetings will be at an easily accessible location, within 1.5 hours of travel from any QTH in the District. The North-1 District Meeting took place on Saturday, July 29 from 10 am to 2 pm at Hoss’s Restaurant, near Franklin. 19 hams participated in a very informative and interesting set of presentations by SM W3BC, SEC N3TIR, North-1 DEC WW3S, and Assistant SM WX3E. Besides it being a full house, those in attendance were very encouraging and supportive of this effort. 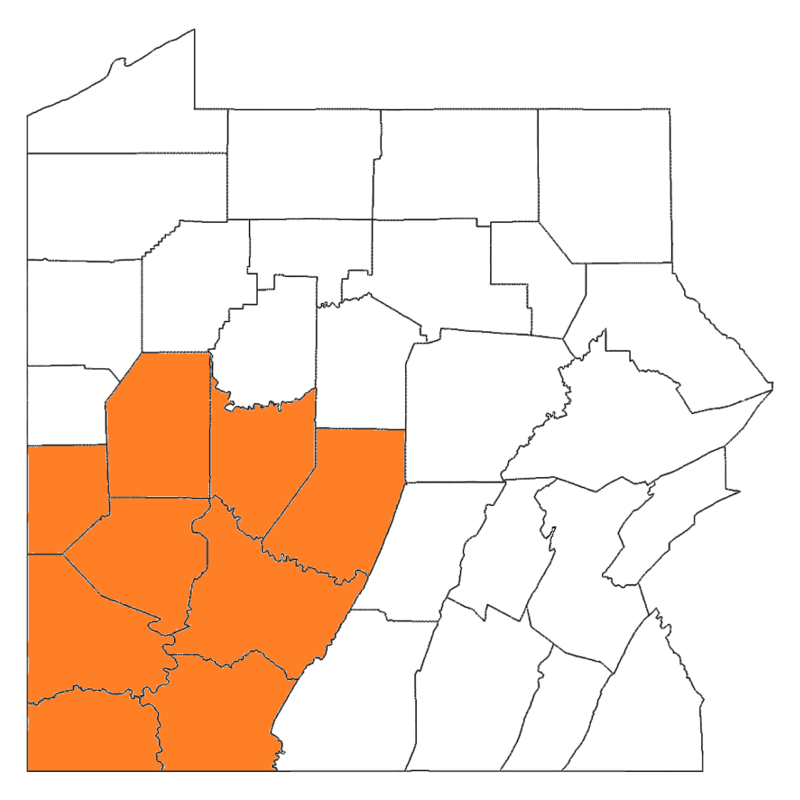 The South-2 District Meeting is scheduled for Saturday, August 12 from noon to 4 pm at the Breezewood Holiday Inn Express, 16503 Lincoln Highway, Breezewood, PA 15533. To minimize your exposure to traffic, please plan on eating lunch before arrival at the meeting location. We will also have complimentary refreshments available in the meeting room. 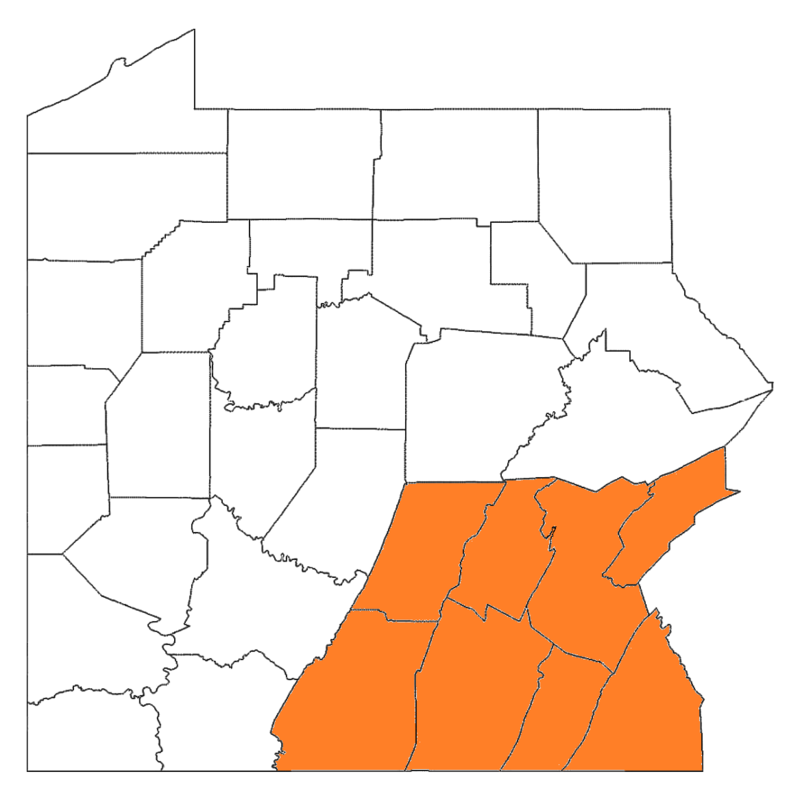 The North-2 District Meeting is scheduled for Saturday, October 28 from 10 am to 2 pm at the Penn State DuBois Campus in the Hiller Building Auditorium. Jamboree On The Air plans are being made for October 22-23 this year. It looks like there are clubs near each of the Scout Council offices and camps, and our WPA Section Youth Coordinator Russ Bush N3YD is working to coordinate with the Councils and Clubs to provide the well-organized, amateur radio club activity the Scouts prefer. If you are interested in helping out as part of this organized effort, please contact Russ at n3yd@arrl.net for more information. Rather than opening the doors of our home hamshacks to whatever Scouts may want to show up to watch us make a QSO, it is preferable to work with local clubs that have fully-equipped QRO, DX-capable club stations, or those groups that can set up a full-featured QRO, DX-capable station at a Scout Camp and place these stations on the air to allow individual scouts take turns making multiple JOTA contacts. Watching you struggle to make a QSO with a battery-powered QRP radio and a short wire antenna 10 feet in the air — while a lot of fun for experienced hams — will hold very little interest for today’s youth. Let’s get in touch with Russ and see where we can best serve the Scouts, and make our WPA JOTA efforts march in step with the rest of the Scouting World! There’s so much going on in our WPA Section, I don’t know when to stop writing! If your group has an upcoming event, PLEASE let us know and we will do our best to help publicize it.